T-55A SPG-15 is almost impossible in solo? This 2.5k assist condition is just plain stupid. I've had dozens and dozens of 3k+ damage and first place xp wins, but it's almost impossible to get so much assisted damage at the same time focusing on dealing actual dmg to enemy team. I'm stuck with this broken mission for 4 month now. Need halp. Srsly. Heck if I can do it so can you. It's just a matter of the right arty and luck. My first idea would be M53/M55 on a map like Malinovka or Prokhorovka and just (deliberately) splash the hell out of heavy tanks that get to the choke points. On top of that you need to burn 7 black candles and offer a goat to the WoT gods so they put you in a team that will actually shoot all the tracked vehicles, not to mention a red team what will have multiple heavies sitting together. Just like other missions (think light/spotting) missions, the stars will have to align. You need a time machine to go back to before arty was nerfed & secondary requirements made more difficult. Use the M53/M55 and it is easy to do. Best way to do it is tier X arty in grand battle, you can count on ~1100 base exp in a good game, that could be enough for place 1 in exp. 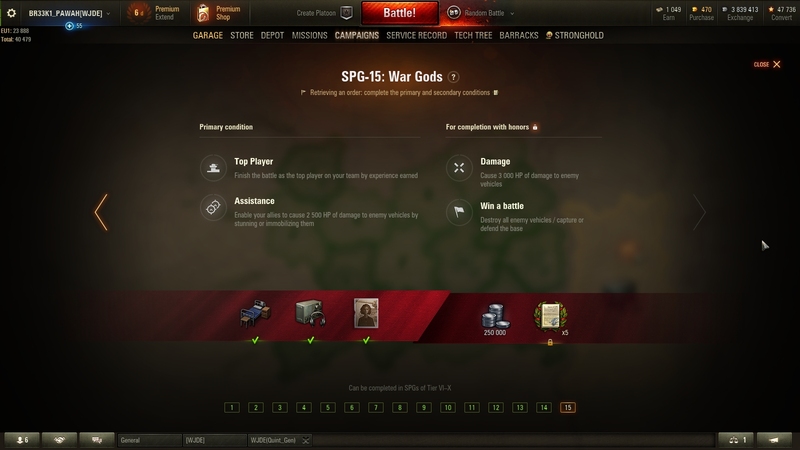 I did both spg-15 missions for T-55A and obj 260 that way, but it was not easy task (some 500+ games with different tier X arties to finish obj 260 mission with honors). Having activated grand battles really help, for example i'm doing ~50% more average damage in grand than in normal battles. Use a T8 arty with fast reload like Lorraine or Fv207, and focus the enemy top-tiers. 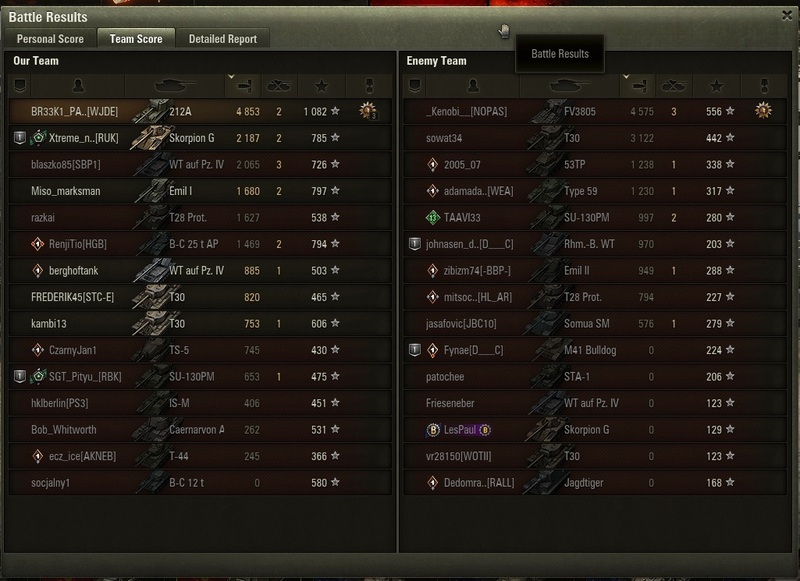 When you can stun an enemy every 20s med- and repkits are a much lesser issue for this mission, and T8 arty obviously gets a better XP bonus when dealing with +2 targets. But in the end it's all depending on your team actually shooting at stunned targets. Primary & secondary aren't too difficult by themselves but doing both together isn't easy. OP - at least get the Primary assist done now before they nerf the splash radius in the next patch. Easy to do if you deliberately splash tanks that are about to be shot instead of trying to do damage. Edited by CmdRatScabies, 17 April 2019 - 11:30 AM. To do this mission b4 incoming nerf is exactly my goal, though i actually need to do it with honors since it's already bypassed with orders and i need my orders back. Pretty sure that I completed it with Honours in the M53/55, but only managed the assist by 15 HP. You're better to do it on a map with heavy choke points where multiple tanks are grouped together and another arty in the team who'll work with you to hit other tanks when you multi stun them. You need to focus on choke points where lots of your team are attacking too. 2x and 3x stuns will help. Mine was on Abbey and had some 2x and 3x stuns that fortunately my team took opportunities to shoot. I think on open maps such as you mentioned there's space for tanks to spread out and limit your targets and those of your supporting team. Did it several times without honours then did it with honours by accident while trying for one of the do x damage in the first 3 mins missions for the 2nd campaign. Use a T8 arty with fast reload like Lorraine or Fv207, and focus the enemy top-tiers. You won't get enough damage done with those puny guns. The last set of changes to arty made Primaries easier and Secondary harder. I'm glad I got mine done before the changes. I think you just need a super lucky game now, but that involves playing a huge number of arty games. And this is the main reason there are so many games with 3 arty. WG are just dense if they don't understand this. If not dense, then too stubborn to admit it and overhaul the SPG missions. I think you just need a super lucky game now, but that involves playing a huge number of arty games. Edited by BR33K1_PAWAH, 17 April 2019 - 12:59 PM. I have been stuck on the 260 equivalent for a few weeks now. Gave it about 20 tries so far, mixing CGC and M55 games. Honestly, I think grand battles are your best bet for artillery missions. I might try this at some point, but i remember it's damage is laughable. Edited by BR33K1_PAWAH, 17 April 2019 - 01:33 PM. If you do that much damage, you are aiming directly at the targets. Leaving little room for stun assists. The trick is to find groups of several targets. HT lanes usually can offer that. And aim between all of them. Not at them. Stunning 3-4 targets and doing 100 to 200 damage to each if they are packed up. 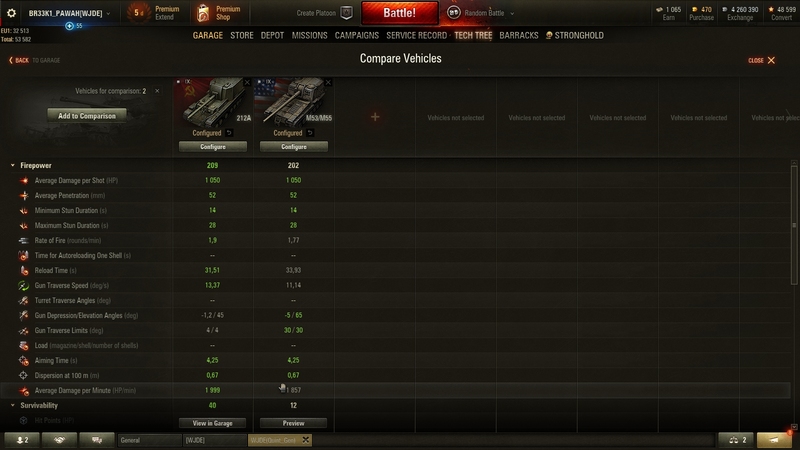 I used the tier 9 US for this, and had luck on the HT lane on Arctic Region via the south spawn. Just hit 3 to 4 targets each time. And I always fired when one of them did peak up so he got hit by 2-3 guns for assist. So it's as much luck as it is skill... Perhaps more on the luck side tbh. Going for lone targets won't cut it if you want both assist and damage. You need group targets. It is, but luck is a factor. I've done the mission with 212A (big gun) on Serene Coast. I had another game before on redshire where 6xp were missing.